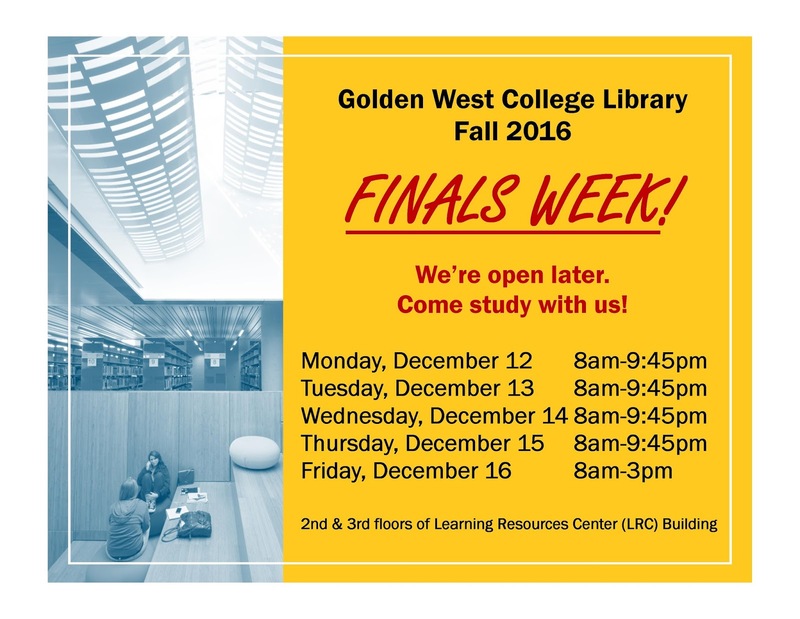 Golden West College Library Newsletter: Extended Library Hours for Fall 2016 Finals Week! This blog provides news, updates and information about the GWC Library. Extended Library Hours for Fall 2016 Finals Week! We’re open later. Come study with us!